Aloha! We have some news for you about the 1st day of a Vilnius zine fest! 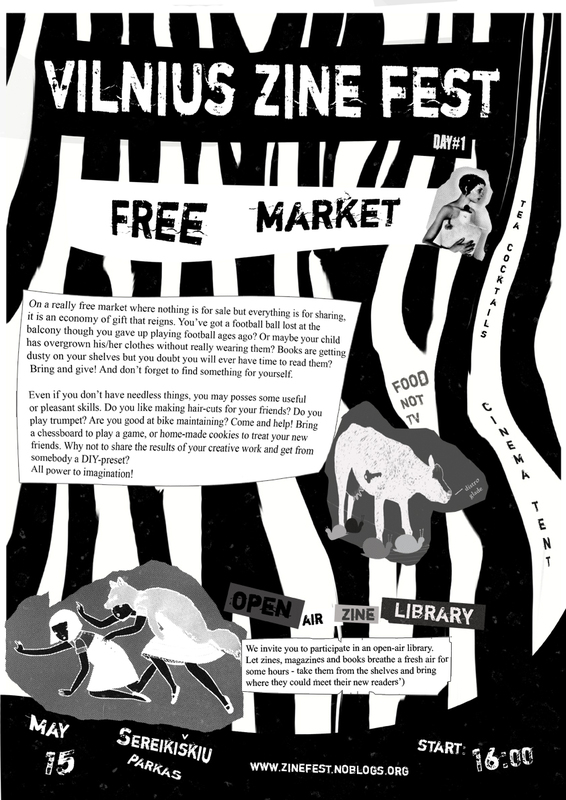 So don’t miss a free market and an open air zine library, presentations of participants, talks about libraries, infoshops, alternative bookstores and anarchaprimitivizm, tea cocktails and a cinema tent, music and tasty food;) We’d also advise visitting a concert of “Farmer’s Boulevard” in the evening! More details, as well as information about the other two days are comming very soon. This entry was posted on Monday, April 20th, 2009 at 2:52 pmand is filed under . You can follow any responses to this entry through the RSS 2.0 feed. Both comments and pings are currently closed.